As 2012 winds down, we wanted to take a moment to wish everyone a happy and healthy holiday season. Before we get swept up in the frenzy of a new year, we’ll take this opportunity to look back at what 2012 brought us. The year kicked off with all sorts of excitement at the JP Morgan Healthcare Conference, during which Life Tech’s Ion Torrent announced that it would unveil a platform that could sequence a full human genome in a single day — for the bargain price of $1,000. While we haven’t heard of anyone achieving that $1,000 milestone just yet, being so tantalizingly close to the target spurred a whole new conversation this year around the informatics implications of it. What will it take to get the genome analysis and interpretation step down to $1,000? We haven’t heard a concrete plan yet, but we’re pleased to see that the discussion is focused on analysis, since that will be critical in getting genomics into the clinic. 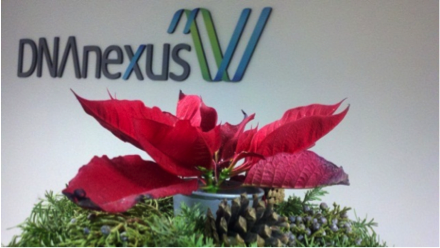 Here at DNAnexus, 2012 was a big year thanks to ever-increasing activity from our users. In the past year, our users processed and analyzed more data than they did since the launch in early 2010 (2010 and 2011 combined). It’s great to see that people are coming back again and again — and that they’re bringing more data when they do. This has further been exemplified by the fact that our users have also been busily publishing this year, as we noted recently in a round-up of recent papers using DNAnexus. Overall, we’ve seen a surge of interest in cloud-based solutions for genomic data; we think that’s partly due to the increasing sequencing capacity as sequencing platforms become more affordable, and partly to people growing more comfortable with the cloud’s usefulness and security. At conferences we attended throughout the year — from AGBT and ABRF this spring to Bio-IT World and ESHG in the summer to Beyond the Genome and ASHG this fall, among others — we saw more vendors joining the space, increasing interest from scientists, and more posters and papers from researchers who have used cloud computing for their genomic projects. Add this all up, it’s clear that we’re at the beginning of a golden age for genomic analysis and interpretation. 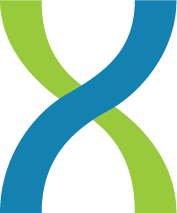 We are thrilled to be part of it, and more excited that we’ll soon be launching a new platform catering to bioinformaticians and computational scientists in 2013. In the meantime, enjoy the holidays!